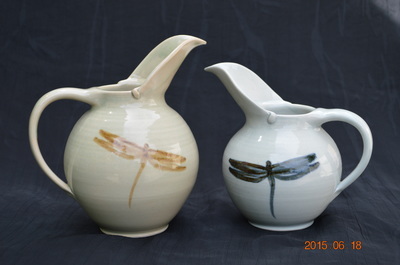 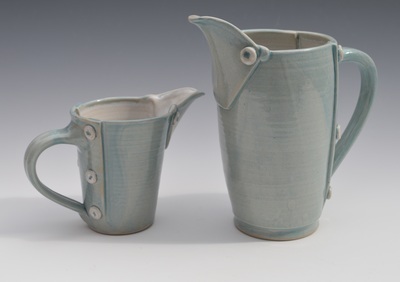 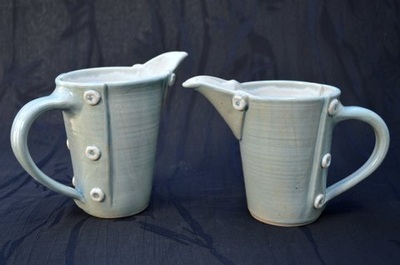 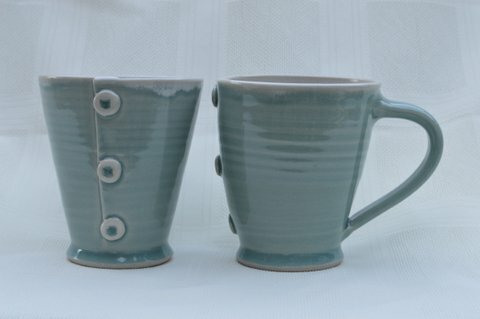 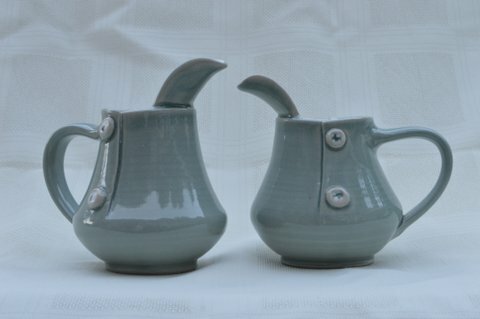 Pitchers with long spouts in blue and green celadon. 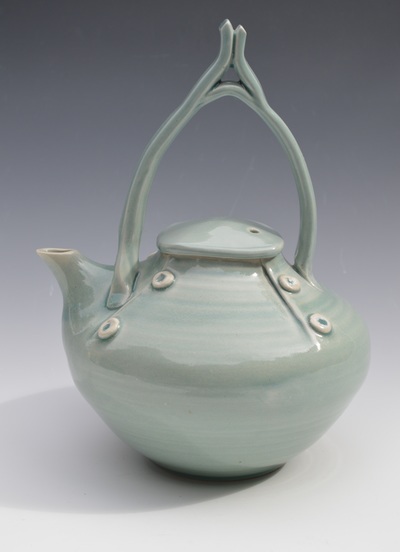 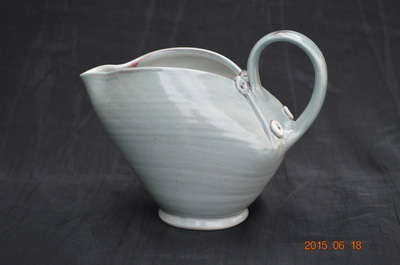 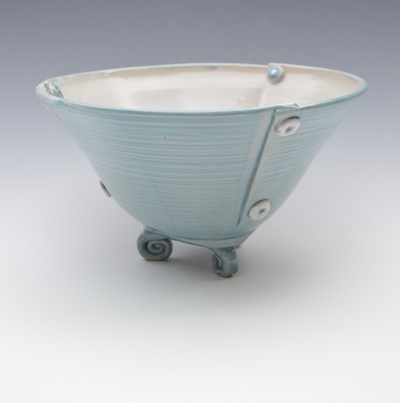 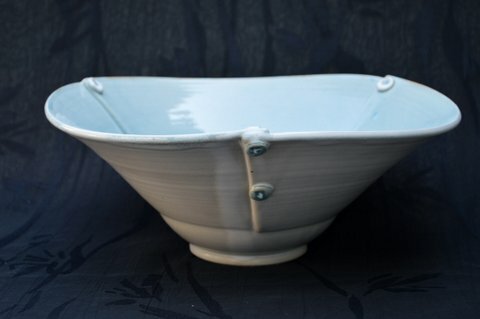 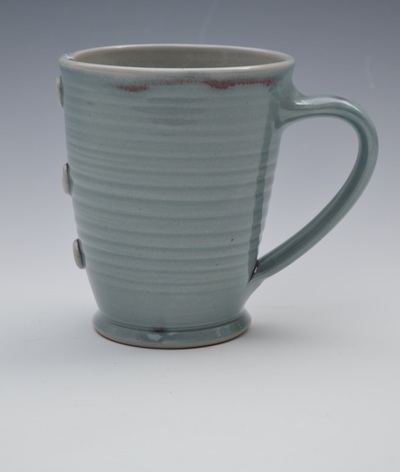 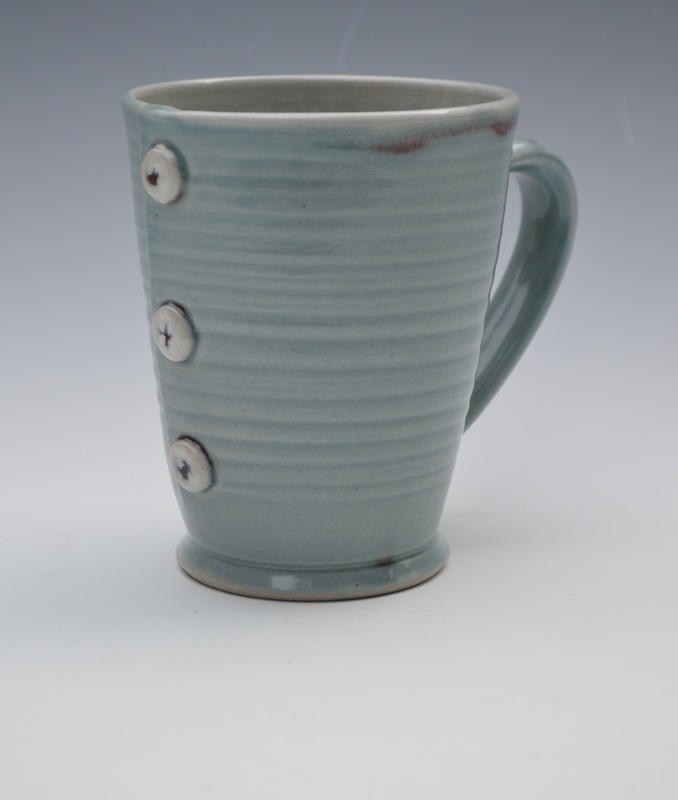 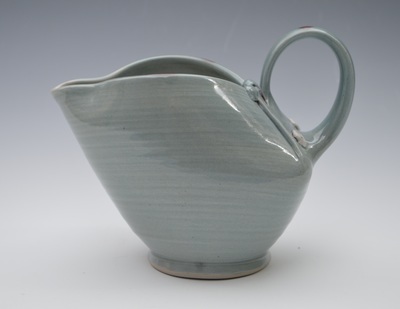 Gravy / sauce boat in blue celadon. 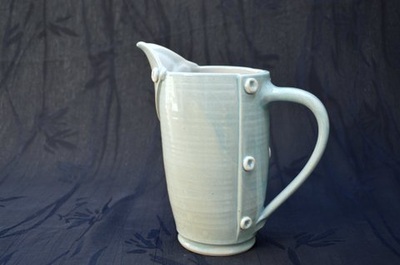 Large pitcher with inward curving rim. 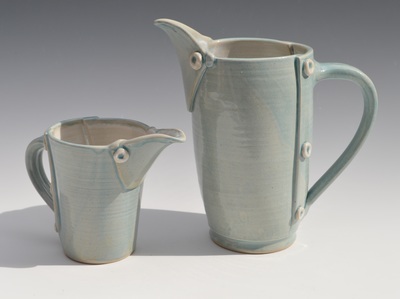 Medium pitchers with flared rims. 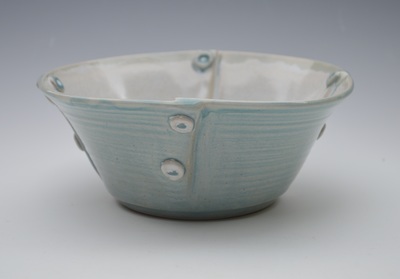 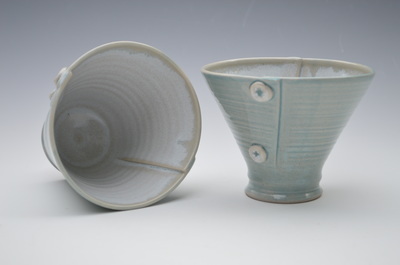 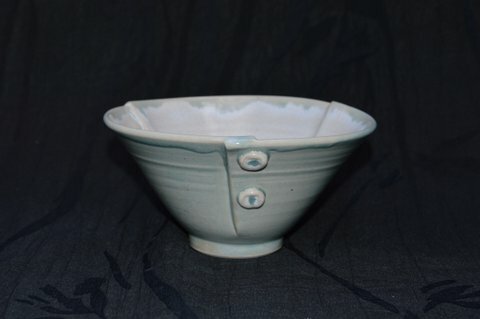 Large bowl with undulating rim with celadon glaze interior and white glaze exterior. 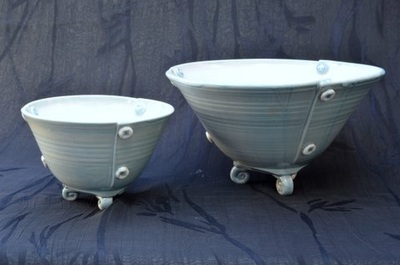 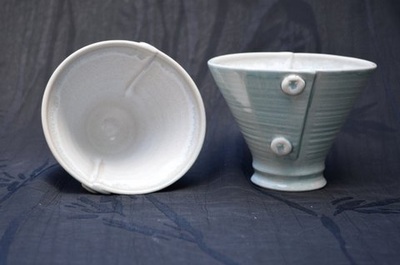 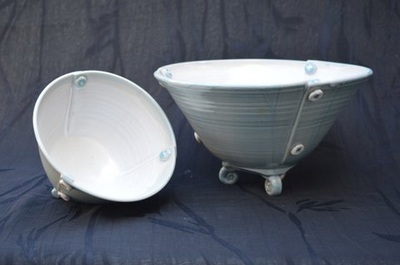 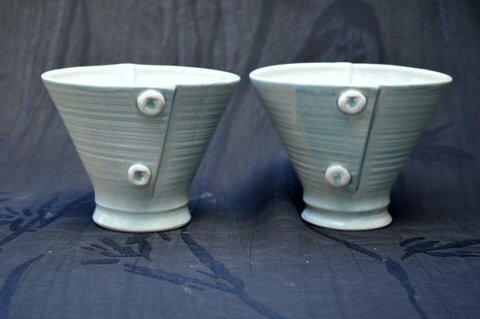 Series of bowls with feet, small to medium.